Saša Randić (1964) graduated from the University of Zagreb (1990) and at Berlage Institute in Amsterdam (1992), being among the Institute's very first generation. 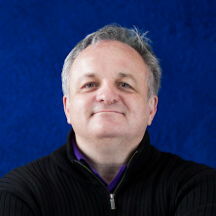 Saša Randić established Randic-Turato Architects in 1993, together with Idis Turato. Randic and Associates, his present practice, was formed in 2009. He has received several prizes for his work and was shortlisted for Mies van der Rohe EU Prize for Architecture in 2007 and 2011, with Elementary School in Krk and DVKF kindergarden. Next to his practice, he was active in architectural publishing and and in 2009 he initiated pogledaj.to, a blog about architecture and design. He teaches at the Split School of Architecture.